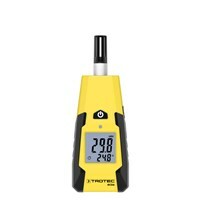 Create your own comfort ambient climate by using a handy thermohygrometers by the Trotec brand. 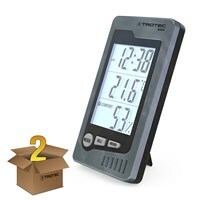 You can always check the room temperature and humidity! 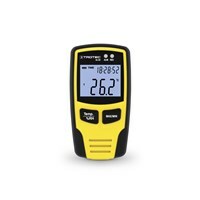 The handy climate measuring instruments able to measure temperature and humidity values in homes and offices, warehouses and laboratories. 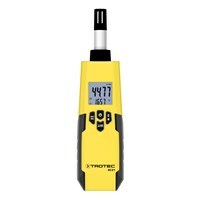 Depending on the type of device you can create a solid measurement with the BC06 Thermohygrometer, but also complex calculations, for example, the T210 Thermohygrometer. 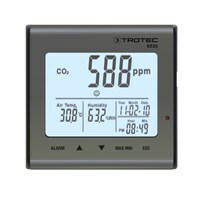 The accurate sensor system enables reliable detection of air and dew-point temperature and the relative and absolute humidity. 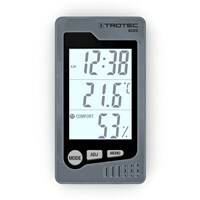 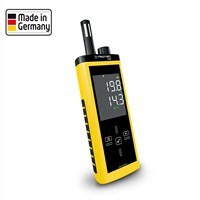 For the long-term use in terms of indoor climate, we offer you the timelessly elegant design BZ05 thermohygrometer - with integrated comfort indicator! 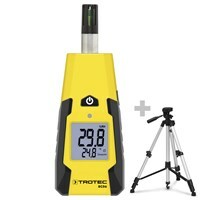 The two devices BZ25 and BZ30 round off the range of professional equipment to climate measurement.